Butler County will hold household hazardous and electronics waste collections on March 17 and April 21 at 129 Ash Stop Road in Evans City. Appointments for drop-offs on collection days are highly advised and can be made by calling Environmental Coordination Services & Recycling at 866–815–0016. household chemicals, 69 cents per pound. To learn more about items accepted and fees, visit the website of Environmental Coordination Services & Recycling . Many chemical products found in the home, garage, workshop, and garden contain hazardous ingredients. Products such as weed killer, fertilizer, paint, oven cleaner, drain cleaner, and rat poison need special handling for disposal to prevent environmental damage. Butler County Commissioners and grants from the Department of Environmental Protection make possible several collection dates throughout the year. According to the Slippery Rock Watershed Coalition, residents can avoid some speciality waste collections with handling old paint, which can be mixed with cat litter or sawdust and dried to then be later disposed of in the garbage. 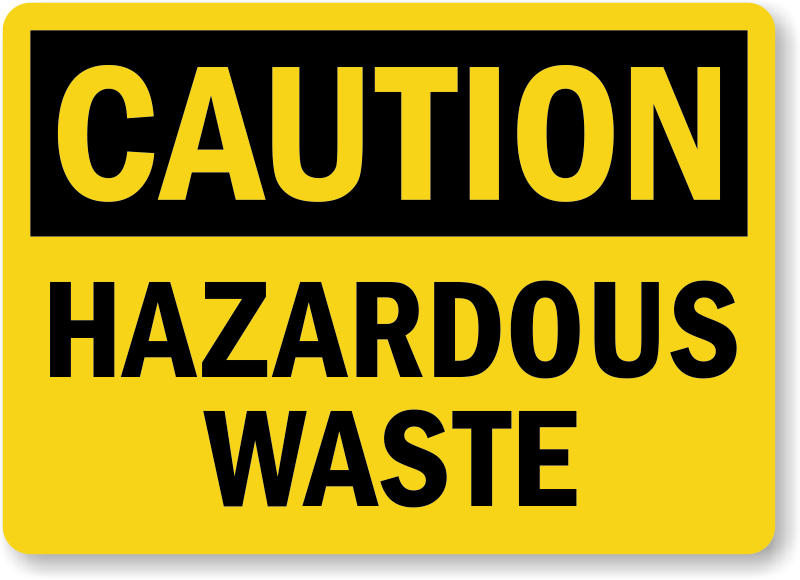 Hazardous wastes can pose dangers to sewer lines, municipal workers, the local environment, and wastewater treatment plants.